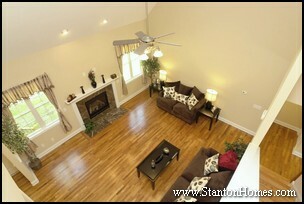 Typically located beside the kitchen, great rooms have become essential for "casual living" new home floor plans. Great rooms serve a variety of functions, combining the uses of traditional rooms like the family room, living room, and study into one central location. 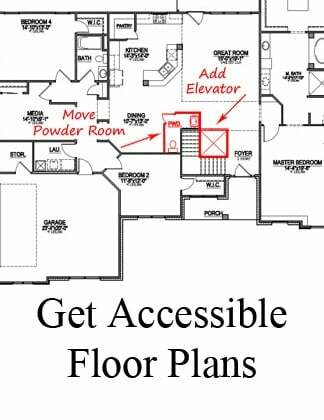 See all the ways you can use your great room, in the floor plan layouts below. Or go straight to the great room photo gallery, here. Great rooms are large, open, and ready for anything. Study time. Meals. Storage with custom built-ins. 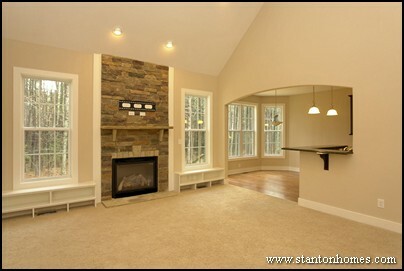 The great room photo above shows a set of built-ins designed to fit a piano in the center, for at-home practice time. Great rooms can take up to 15% of the total square footage of a home. 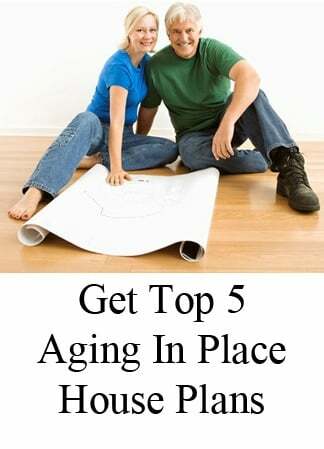 Remember, this one room often accounts for the square footage of at least two others. Many great rooms feature specialty ceilings, such as vaulted rooflines (pictured above) or cathedral ceilings. 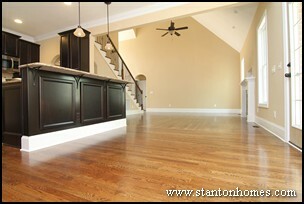 The foyer often leads directly into the great room -- with the opportunity for grand two story spaces. Great rooms are also commonly adjoined to the kitchen with only a half wall, counter, or island separating the two. 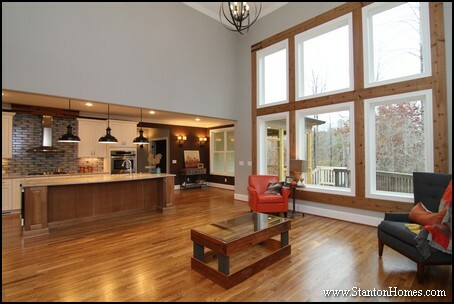 In the Stanton Home pictured above, an expanded island welcomes shared kitchen and great room traffic. Great rooms make fantastic gathering spaces with: entertainment centers, fireplaces, and study areas all contained in the same space - making cooking, entertaining, informal dining, and family interaction easier than many traditional floor plans that encase the kitchen or kitchen/breakfast space. In addition to featuring vaulted or cathedral ceilings, great rooms often feature second story overlooks -- for an even more open concept appeal. Windows will add expense to any room of your home. Great rooms -- and connected kitchens -- are the most used rooms of your home, making them highly-valued spaces to splurge on windows. Adding full walls of windows -- or even carefully placed pairs of windows -- can make an incredible difference in your great room design. 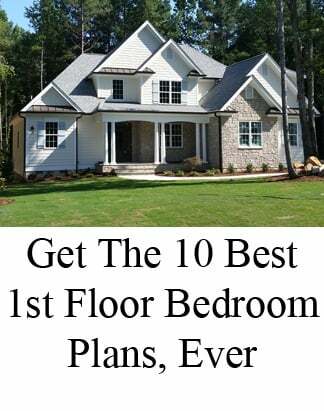 Floor plans with a great room continue to be a top home buyer request in the Raleigh, North Carolina area. 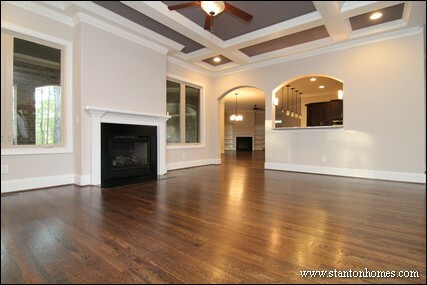 What do you like best about the great room photos above? Tell us what matters most in your custom home design, and we'll show you what it takes to build custom in North Carolina. Why Great Rooms are so great! Home design has seen a wide-spread shift towards a more casual living style. We are seeing fewer formal dining rooms, larger kitchens (with eating bars for casual dining), and fewer rooms divided by walls (more open concept floor plans are being built). Adding great rooms to a new homes has been an important part of this trend. What is a Great Room? 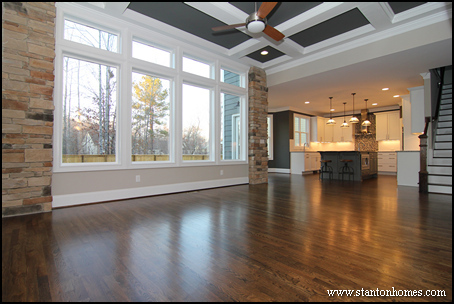 A great room is a very large, open room that combines the functions of several more traditional rooms - the family room, living room, and, less often, study - into one location. 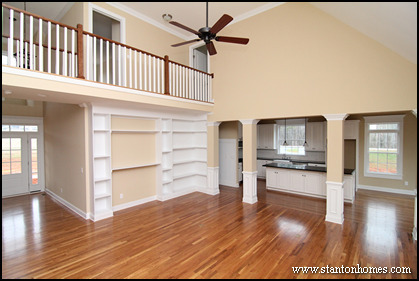 Great rooms are flexible, spacious, and extremly useful for families that have a variety of needs. Great rooms are usually central to the home, connected to the kitchen by an island or serving bar counter. 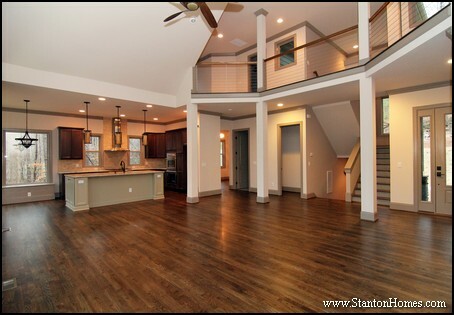 Homes often open up from the foyer into the great room. 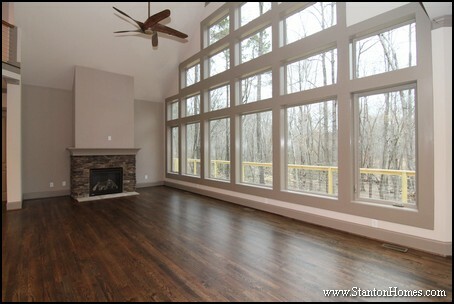 - Plenty of natural light with wide windows, and so much more. A great room gives your family a central place to gather, eat, play, study, and work with everything you need in one space. 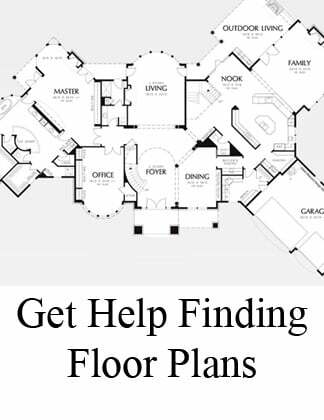 Bring us your a floor plan or ask us for more ideas - we'll show you want we can do for you.